One of the main reasons patients go to their eye doctor is because they feel that their “vision is changing.” There are many causes for changes in vision; this piece will talk about changes in vision experienced by mature patients. Normal aging of the eyes requires us to get reading glasses. The age that reading glasses are needed varies from individual to individual. Some patients never have the problem; others start having to use reading glasses at a relatively early age. One of the more serious problems encountered in the aging population is macular degeneration. Macular degeneration can be a serious problem, especially if it is not recognized early and treated appropriately. A patient with macular degeneration will usually begin to notice that the central portion of the vision is changing. They can still see everything from side-to-side, but when looking straight ahead it seems that the vision is diminished. There are two types of macular degeneration. “Dry” macular degeneration is the most common form. If you have this the doctor will see you often to make sure that the macular degeneration does not convert to “wet” macular degeneration. Dry macular degeneration will cause vision changes. It progresses slowly and only needs to be monitored to be certain that it is not spreading. On the other hand, wet macular degeneration is much more aggressive and, if not treated as soon as possible, can cause blindness in the individual. If you experience changes in your vision you need to advise your doctor. He/she will test your eyes to determine the exact causes of the changes. Once a diagnosis has been made the doctor will suggest treatment options to correct the problem. Once the problem is corrected, as long as no permanent damage has been done, you will once again be able to see with a full field of vision. Why take chances with your eyes? Call us for an appointment and evaluation. Are your eyes getting all the nutrients they need to prevent macular denegation, cataracts, glaucoma, and other vision problems? There are several foods that you can be eating as part of a regular, healthy diet which can help your maintain your vision. Remember the myth that carrots are good for your eyes and can help you see in the dark? Well, it’s not entirely a myth! Check out some of the best foods to eat to help your eyes. A rich source of zeaxanthin and lutein, this leafy green is believed to protect eye tissues from damage from the sun and lower the risk of macular degeneration and cataracts. It’s recent growth in popularity has its reasons—and it’s benefits. Its “super food” status gives your eyes what they need! Other good sources of these nutrients include spinach, turnip greens, collard greens, peas, broccoli, red grapes, oranges, yellow squash, kiwi, mangoes, corn and honeydew melon. A good source of beta carotene, these spuds help slow the progression of macular degeneration. Your body changes beta carotene to vitamin A, a nutrient which helps stop night blindness and dry eyes. It can also help battle an eye infection. You can also find beta carotene in other deep orange foods like butternut squash, carrots, and dark green foods like collard greens and spinach. Milk, liver and eggs are other good sources of vitamin A.
Juicy, fresh strawberries are good for your eyes and have a lot of vitamin C, an antioxidant which can help lessen your cataract risk. Omega-3 fatty acids can help to relieve dry eyes. Healthy fats from salmon or other kinds of fish, avocado, walnuts, olive oil, olives or flax seed are a healthy and tasty way to care for your eyes each day. More than delicious and relaxing, a cup of green tea has antioxidants that could help lower your risk for developing macular degeneration and cataracts. It has been discovered that eye tissue can absorb these antioxidants, so it could be that the cup of green tea you had was more than just relaxing. Other foods that are high in catechins are chocolate, red wine, apples and berries. Our team of eye surgeons, specialists and technicians offer a wide range of consultations and ophthalmic services to Arizona area residents. We specialize in correcting cornea and anterior segment eye conditions. Each of the doctors and technicians have successfully completed a minimum of 13 years of training, including medical school, internships and ophthalmology residency. They have also completed various additional trainings such as year-length fellowships in refractive surgery, cornea treatments and external disease. Our team specializes in eye conditions such as ocular trauma, keratoconus, and severe ocular infections. We also help with ocular malignancies, inflammatory disease, and refractive surgery. At our clinic, you can find technologically advanced surgeries such as LASIK, INTACS and other surgical procedures that help us solve astigmatism, nearsightedness, and farsightedness. These procedures help reduce your dependency on glasses and contact lenses. When the clear outer covering of your eye has been scraped, scratched, or damaged, it may be in need of replacement. Cornea transplants provide a new and healthy cornea extracted from a donor. Depending on the situation, you may be in need of partial or complete replacement of the cornea. 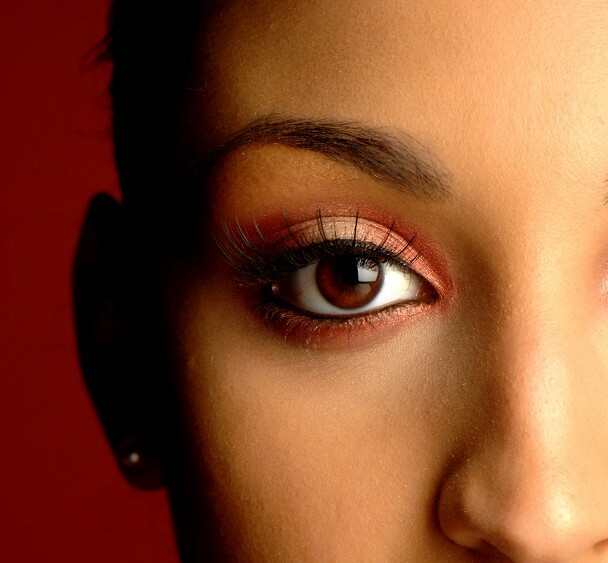 Either way, the surgery is an outpatient procedure performed by a board certified cornea specialist. In certain instances, such as corneal damage due to congentital disorders or chemical burns, some patients are not good candidates for regular cornea transplant. For them, we can perform keratoprosthesis, or an artificial cornea transplant. Dr. Gross, the medical director of the Donor Network of Arizona Eye Bank, is highly particular about the quality of the incoming cornea during transplant. He makes sure to minimize risk of the donated cornea with the donor tissue. 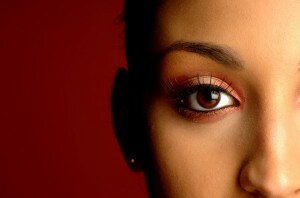 Tears keep your eyes lubricated and reduce the chance of an eye infection. When you have dry eyes, the tears in your eye are insufficient to nourish or lubricate your eye. In such a case, you need to consult an expert to get your eyes looked into. Our expert uses a Schirmer test to determine the magnitude of the condition. We are capable of handling even chronic conditions. We also recommend Physician Recommended Nutricueticals (PRN). Dealing with issues of the eye requires meticulous care backed by years of expertise. Our team of experts ensures maximum safety. Book your appointment today. Call 602-258-4321. Did you know that every year in the United States there are over 40,000 cornea transplant surgeries performed? At Cornea & Cataract Consultants of Arizona, our surgeons treat every cornea transplant with attention and care. 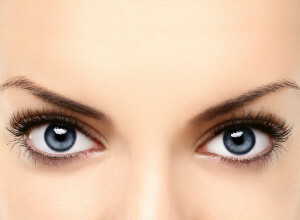 We understand how overwhelming and frightening the thought of eye surgery can be. Here is some information about the procedure to help ease your fears. An optometrist would suggest a transplant for a patient who has vision problems that prescription eyeglasses cannot fix. It is also an option when the eyes swell painfully and medication has no impact. What Exactly is Your Cornea? Your cornea is a thin clear tissue covering the front of each of your eyes. All of the lights and images you see pass through the cornea. Your cornea needs to stay clear in order to see well. How Do You Know the Cornea was Rejected? If you think you would benefit from a cornea transplant surgery, please call us to schedule an appointment with one of our specialists today. Your eyes are very sensitive, and no one wants to endure eye pain. Unfortunately, there are many different diseases and conditions that can affect your eyes. One of these afflictions that is much more serious that it originally appears is dry eyes. Dry eyes are caused when the tears produced by your eyes are not able to provide sufficient moisture content. Either your eyes are not producing enough tears to provide adequate moisture and lubrication for the surface of your eyes, or your eyes are not producing good quality tears. Dry eyes can also be caused if the evaporation rate is increased, causing tears to evaporate from the tear film of a person’s eyes and tears get evaporated from the tear film of a person’s eyes. Tear film consists of three different layers. The outer-most layer is oily in order to smooth the eye’s surface and reduce the rate of evaporation, allowing the tears to stay on the eye. The next layer is the watery layer, which actually produces tears, helping to clean the eye and wash away any foreign and irritating particles. Then comes the innermost layer of mucus. Mucus helps the watery layer spread evenly and keeps the eye moist. Without any one of these layers, tears do not remain in the eyes, and the eyes dry up. What Makes You a Target for Dry Eyes? Dry eyes are most common in people above 60 years of age. If suffering from dry eyes, you will suffer from persistent dryness and scratchiness. Often it feels like a burning sensation and your eyes will be red. Although it can be a long-lasting condition due to age, it can also happen temporarily in certain situations, such as in an airplane or an air-conditioned room. Your eyes can even feel dry after looking at a computer screen for a long time. 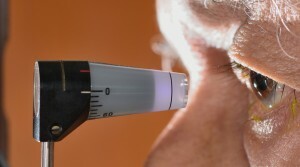 When you visit the doctor, he or she will try to measure the amount of tears your eye is producing via a test. After your tears are measured, your doctor will prescribe an artificial tear solution based on your specific diagnosis. These solutions can easily be bought from any medical store and will cure your dry eyes. If left untreated, dry eyes could affect your vision, but this is very easy to prevent. In case you think you are suffering from dry eyes, you should consult the qualified specialists at the Cornea Consultants of Arizona. Every little piece of the body is a working miracle. Have you ever thought about how amazing it is that each of your fingers move? Or that your brain can control everything? Or that your eyes can receive and process images so quickly? Perhaps another miracle is that of modern medicine. Today, there are so many different treatments for when our body malfunctions and is not so miraculous. Among these blessings in the medical world is the cornea transplant surgery, which provides a ray of hope to all of those (perhaps you included!) 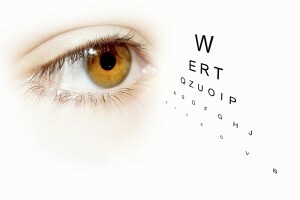 who have partially or fully lost their eyesight due to cornea damage. Cornea & Cataract Consultants of Arizona is your place to go for these delicate treatments. Here’s what you need to know. What Happens During a Cornea Transplant? A cornea transplant treats the outer portion of the eye through surgery. Also called corneal grafting, the transplant is usually done when the cornea has been ripped or otherwise damaged. You will require a healthy cornea from a donor, which is usually obtained through an eye bank. Although the whole cornea is often replaced, there are times when it will only be a partial replacement. Decrease in any eye inflammation. Decrease in the pain caused by the malfunctioning eye. 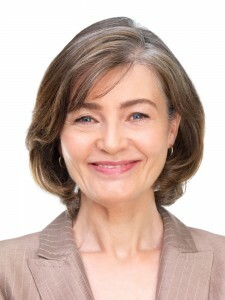 Here at Cornea & Cataract Consultants of Arizona, we do our best to make sure that the surgery is beneficial to you and worth your time and money. It is only performed after extensive consultation with our board of doctors and medical specialists. They will put you at ease and answer any questions you might have. The recovery period varies from patient to patient, depending on their prior health. However, here at our center, we ensure that each patient is carefully monitored after surgery, to both record and aid the entire recovery process. Before, during, and after surgery, we meet high, world-class standards. Make your world (and vision) brighter today through an appointment with the Cornea & Cataract Consultants of America!